The PGC-PTSD Physical Health Workgroup aims to examine how genetic and epigenetic factors play a role in the comorbidity of PTSD and physical health conditions. Growing research links PTSD to a range of cardiometabolic conditions and diseases of aging, including metabolic syndrome, cardiovascular disease, type 2 diabetes, and dementia. However, the extent to which genetic and epigenetic factors are involved in these associations remains unclear. The PGC- PTSD Physical Health Workgroup developed to address these questions by harnessing the power of collaborative, consortium-based efforts. The goals of this workgroup include: 1) examining the extent to which overlapping genetic factors predispose individuals to both PTSD and these physical health conditions, and 2) investigating how genetic factors may contribute to increased risk for or resilience to developing these physical health outcomes in individuals with PTSD. In pursuit of these goals, we are creating a large data set of studies with information on PTSD, genetic and epigenetic data, health-related biomarkers (e.g., inflammatory markers, lipids) and intermediates (e.g., body mass index, blood pressure), cognitive function, and chronic health conditions (e.g., cardiovascular disease, type 2 diabetes, metabolic syndrome). To date, several groups within the PGC-PTSD have genome-wide genotype data as well as data on physical health-related variables, with current total N=19,183. Dr. Sumner is an Assistant Professor of Behavioral Medicine at the Center for Behavioral Cardiovascular Health at Columbia University Medical Center. At Columbia, Dr. Sumner has pursued research on stressful experiences and their impact on emotional and physical health. She is interested in identifying who may be most vulnerable to the effects of stress and trauma, and her work incorporates genetic, neuroendocrine, physiological, and environmental predictors. Dr. Sumner completed her pre-doctoral internship at the Charleston Consortium, where she gained experience with treating anxiety and mood disorders. During internship, she specialized in the treatment of traumatic stress disorders. She received extensive training in Prolonged Exposure and Cognitive Processing Therapy, two of the leading therapies for posttraumatic stress disorder (PTSD). Dr. Sumner was the recipient of the Clinical Excellence Award for her internship class, and she was also awarded the Neal Miller New Investigator Award from the Academy of Behavioral Medicine Research in 2017. Dr. Sumner has published over 65 papers in peer-reviewed journals, including Molecular Psychiatry, Biological Psychiatry, Circulation, and Psychoneuroendocrinology. 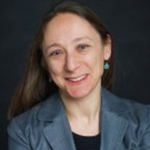 Dr Wolf is Associate Professor of Psychiatry at Boston University, an Investigator at the National Center for PTSD, and a recipient of the prestigious Presidential Early Career Award for Scientists and Engineers (PECASE), conferred by President Obama. 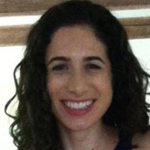 Her research focuses on the use of multivariate data analytic techniques, such as confirmatory factor analysis, structural equation modeling, latent class analysis, and item response theory, to evaluate trauma, posttraumatic stress disorder (PTSD), and related comorbidity. Dr. Wolf is currently studying the genetics of latent psychopathology using both twin and molecular genetic methodologies. In particular, her recent work has focused on the idea that PTSD is associated with accelerated cellular aging, as reflected in DNA methylation and as manifested in physical health and neurocognitive decline.